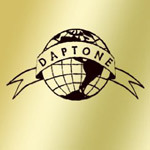 Daptone compilation featuring rarities, classics, 45rpm-only tracks and previously unreleased tracks from Sharon Jones & the Dap-Kings, The Budos Band, Binky Griptite, Lee Fields, Antibalas and many more in gold digipak packaging. Liner notes by Douglas Wolk. Brand new, factory sealed copy, never opened. No promo marks or cuts..